Model Transformations are a productivity tool that allow models to be manipulated to create more specialized or resolved models. 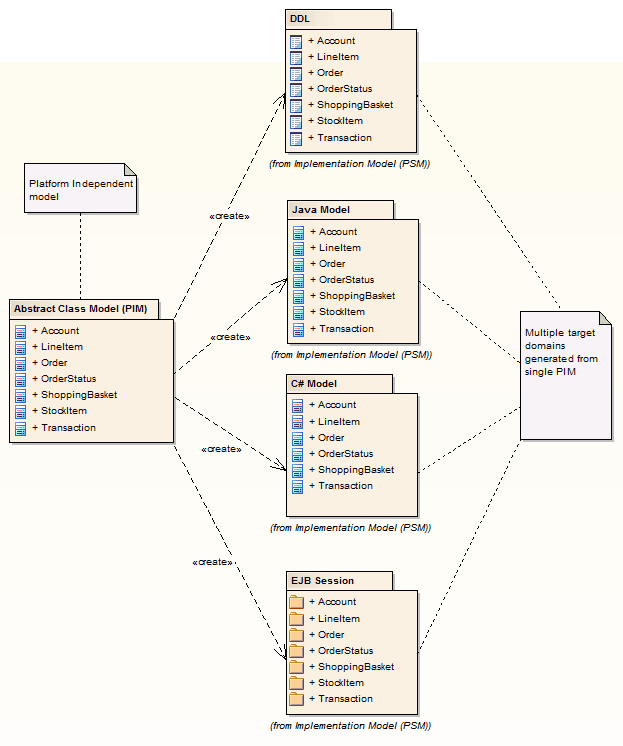 The transformations can be applied to produce a variety of output models including logical and physical data models, XML Schema models, programming languages and more. The Model Driven Architecture (MDA) transformations use a flexible and fully configurable template system. Generating from a Class model to a programming language model including: C++, C#, PHP, Java and many more. Generating from a Class model to a data model including: ERD, Oracle, SQL Server, XSD and WSDL models. Generating from a Class model to a test model including NUnit and JUnit test models and more. 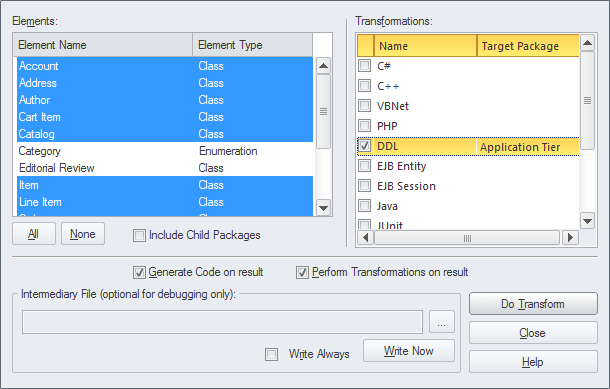 Model Transformations are completely configurable using a powerful, simple and flexible template system. This includes the flexibility to create new user defined transformations and modify or extend existing ones.